It seems commonplace now, but the idea of hotels having the same cachet as a nightclub seem to me to come about in the 1980s with the rise of Ian Schrager as a hotelier. 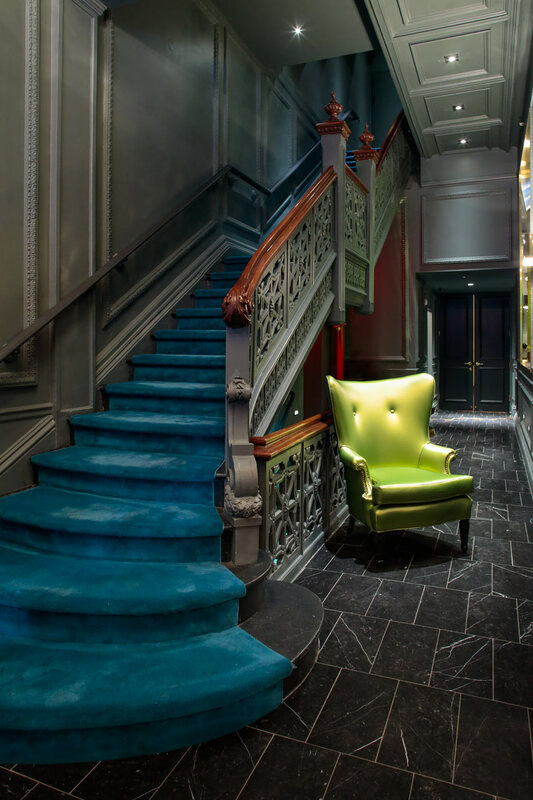 While he collaborated with others, the partnership he formed with Philippe Starck resulted in some really fantastic hotels, as can be seen in this post: The 21st Century Interior – Case studies – Philippe Starck/Ian Schrager: Designer Hotels – Blog – APID. Nowadays many of these hotels have changed, but in the latter part of the 20th century they were opening with all the excitement of a new nightclub, which in some ways they resembled. I remember hanging out in the lobby of The Royalton as it was just getting ready to open, talking to the staff in their Hugo Boss suits, marvelling over the designs of Starck, thinking of how the blue carpet made one feel as glamorous as anyone in the city. Later on I stayed at the Paramount and Morgan’s, each visit made Manhattan that much better. Recently the hotels have been changing as they have been upgraded. Only The Hudson seems to have retained that earlier quality, it seems. Soon even that will transform into whatever brings in the guests. I haven’t been to The Hudson yet: I must get their before it is too late. I am not sure if there is a history of great hotels, but if there ever is, I expect some of these places will find their place in it. Meanwhile, read the post on these hotels, and check out The Hudson in NYC while you can.